Martha Kearney reviews secret government files from 1986 - the year of US air strikes against Libya, the Chernobyl disaster and a Royal wedding between Prince Andrew and Sarah Ferguson. 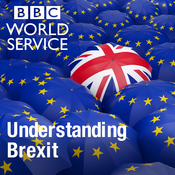 She discusses the annual release of official papers with three distinguished politicians from the time - former Health Secretary Lord Fowler, former Labour leader Lord Kinnock and former Liberal leader Lord Steel - as they look for new insights into some of the top political stories of that year. Early 1986 saw the Westland helicopter crisis and the resignation of two Senior Ministers, Michael Heseltine and Leon Brittan. On the opposition benches, Labour was engaged in a struggle with the Militant left wing of the party, but the popularity of the new SDP / Liberal Alliance failed to materialise into votes in the 1987 election. Meanwhile Britain was gripped by a fear of AIDS, and arms talks between the USSR and the United States faltered at Reykjavik, but led ultimately to a treaty between the superpowers just a year later, marking a significant thaw in Cold War relations. Producer: Deborah Dudgeon A Whistledown production in association with Takeaway Media for BBC Radio 4. Martha Kearney reviews today's release of secret government files from the mid 1980s. The year long miners' strike came to an end in 1985, but social unrest continued with riots in London leaving a policeman dead in Tottenham. Football hooliganism burgeoned, resulting in horrific scenes at the European Cup Final in Heysel when 39 people died during violent riots before the Liverpool/Juventus match. Mikhail Gorbachev became Soviet leader and Oleg Gordievsky was one of a number of high profile Russian defectors to Britain. As nuclear arms talks between the Soviet Union and the United States made a tentative start, a catastrophic accident at the Chernobyl Nuclear Power Plant in Ukraine released radioactive particles over much of the Western USSR. A row in Cabinet over the future of Westland helicopters resulted in Michael Heseltine's resignation as Defence Secretary in early 1986. A Cabinet Committee considered government policy on AIDS for the first time, and several Whitehall departments collaborated to develop what became the 'Poll Tax'. As the official Cabinet papers of the mid-80s are opened to the public for the first time, Martha Kearney discovers how these events were viewed in Government. With access to the Prime Minister's personal correspondence, minutes of top secret meetings and telephone calls, and confidential policy advice, UK Confidential offers fresh insights into history. Martha is joined in the studio by key political players from the time - Defence Secretary Lord (Michael) Heseltine, Shadow Chancellor Lord (Roy) Hattersley, Margaret Thatcher's private secretary Lord (Charles) Powell, and Channel 4 Political Correspondent Elinor Goodman. Produced by Deborah Dudgeon A Whistledown production for BBC Radio 4. Martha Kearney uncovers the secrets within the Government files of 1984. Margaret Thatcher's government faced some formidable adversaries. The long-anticipated battle with the National Union of Mineworkers and its leader, Arthur Scargill, finally erupted, dominating the political scene well into 1985. The charismatic Ken Livingstone, leader of the Greater London Council, was winning the costly PR war against abolition of the GLC. And terror hit home with the shooting of policewoman Yvonne Fletcher outside the Libyan Embassy and the IRA bombing of the Conservative Party Conference in Brighton. On the world stage, the Cold War reached a crucial turning point. The cost of the nuclear arms race was rocketing and the world needed a new approach to East-West relations. Rising star of the Soviet Politburo, Mikhail Gorbachev, was invited to Britain and spent five hours at Chequers in a now famous meeting with the Prime Minister. As the official Cabinet papers of 1984 are opened to the public for the first time, Martha Kearney discovers how these events were viewed in Government. With access to the Prime Minister's personal correspondence, minutes of top secret meetings and telephone calls, and confidential policy advice, Martha can now offer fresh insights into history. Former Ministers and other key insiders from the time join Martha in the studio to help her interpret the papers and give their own impressions of the revelations within them. Producer: Deborah Dudgeon A Whistledown production for BBC Radio 4. Martha Kearney uncovers the secrets within the government files of 1983 - who said what in Cabinet, and what did the Prime Minister really think about the issues of the day? It was the year that Compact Discs and £1 coins were first sold in Britain. The country was introduced to the joys of wheel clamps and breakfast television, and Shergar - the most valuable racehorse in the world - was stolen, never to be seen again. It was an election year, and Prime Minister Margaret Thatcher was riding high on the Falklands victory of the year before. Peace campaigners were demonstrating outside Greenham Common as the American nuclear missiles arrived, and Britain entered talks with China over the future of Hong Kong. As the official Cabinet papers of 1983 are opened to the public for the first time, Martha Kearney discovers what the big stories were inside Government that year. With access to the Prime Minister's personal correspondence, minutes of top secret meetings and telephone calls, and confidential policy advice, Martha can now offer fresh insights into history. There are the secret messages between Margaret Thatcher and Ronald Reagan, the Prime Minister's highly colourful comments on points of view she disagreed with, and entertaining messages between staff at Number 10. Martha is joined by key insiders from the time to help her interpret the papers and give their own impressions of the revelations within them. 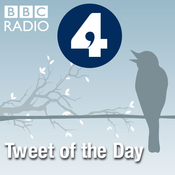 Producer: Deborah Dudgeon A Whistledown production for BBC Radio 4. With unique access to secret government papers, Martha Kearney presents a look at the political events of 1982 as told through the Cabinet minutes, Prime Ministerial papers and Foreign and Commonwealth Office documents and briefings that are being released to the public at the end of the year. 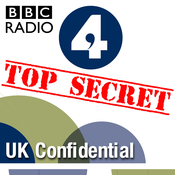 Close to 30,000 Government papers containing top secret memos, notes and briefings are included in the release, and the Radio 4 team have been given special access over the last few weeks. In a dramatic year, 1982 saw Britain at war with Argentina over the Falklands, which is expected to dominate much of the papers released under the thirty year rule. We anticipate discovering details of the talks to avert conflict, of events such as the loss of HMS Sheffield and the Battle of Goose Green, and of the controversial sinking of the Argentine Navy cruiser General Belgrano. In addition we may well find out details of how the Franks Inquiry into the Falklands War put politicians and civil servants under the spotlight and how those around Margaret Thatcher sought to capitalise on her renewed popularity in the wake of the victory in the South Atlantic. Producer: Deborah Dudgeon A Whistledown Production for BBC Radio 4, in association with Takeaway Media.